Coffin, Joseph COINS OF THE POPES (New York, 1946). 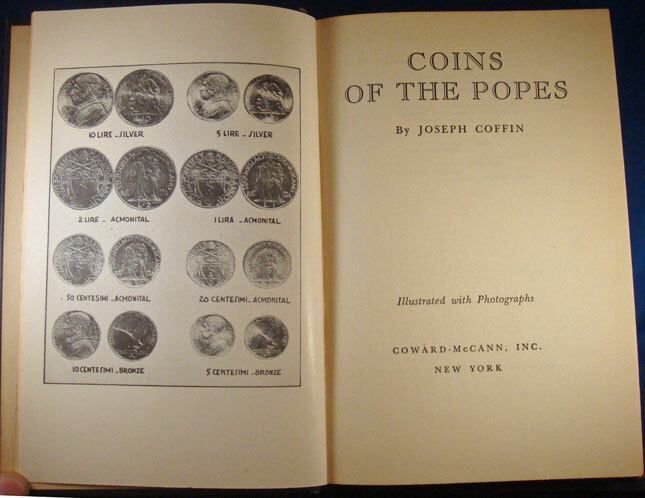 A guide to papal coins from the earliest Christian times to Pius XII with an historical account of the many papal mints, showing inscriptions on papal coins in Latin along with English translations and scriptural references. Sixteen pages of illustrations. 8.5" x 6" hardcover, no dust jacket. Especially useful for the translations of inscriptions on papal coins.